Breathtaking - The only word that appropriately describes the viewscape from the residence's two story great room upon entry. 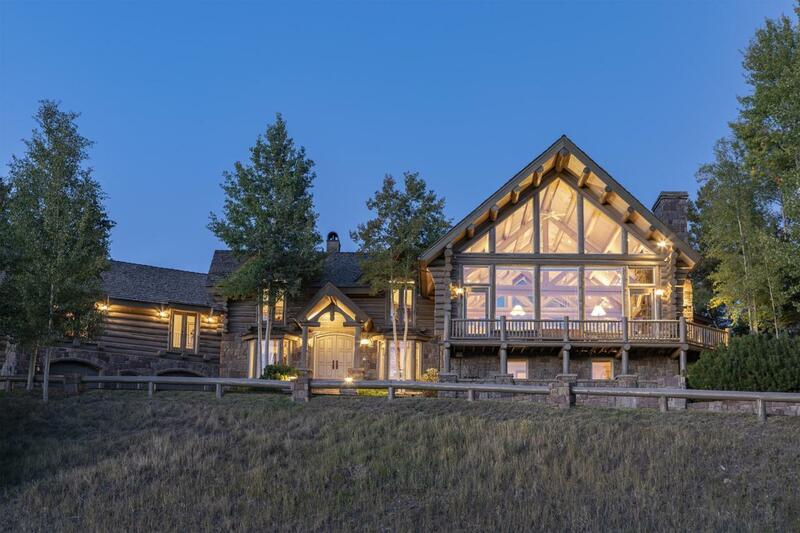 Anchored on a ridge overlooking the Telluride Valley 800 feet below, it is one of a handful of properties possessing double loaded views of the iconic Wilson and San Sophia Mountain Ranges. Bathed in sun from the early morning to the evening sunsets, extraordinary vistas are captured from various living and sleeping spaces. The main level open floor plan flows effortlessly between chef 's kitchen, living, dining and breakfast nook areas, all with wide plank Pine flooring, with a spacious office and master suite with gas fireplace, jetted tub and steam shower conveniently up one half level. Two decks, one with built-in BBQ, strategically taking advantage of (more)..the views, further expand the great room living area graced by a massive two story, stone, wood burning fireplace. One half level down, the floor plan encompasses a den/ study with fireplace, two gracious guest suites with ensuite baths, mud room with excess storage and laundry. The lowest level includes a very generous entertainment room for generations of family and guests alike appointed with full service bar, two guest bedrooms with bath and hot tub room. Nearly the entire basement level, with direct access to an oversized two car garage, is substantially finished providing abundant storage for all of its owner's mountain gear and an excellent workshop. An easy stroll to the Gondola and Village Core.